A Range of Weighing Indicators for Industrial Applications. The Excelsior is housed in a high grade stainless steel sealed enclosure (255mm x 164mm x 64mm) boasting 6 X 1" (25.4mm) high intensity L.E.D. Indication and a backlit 20 x 2 alphanumeric L.C.D. 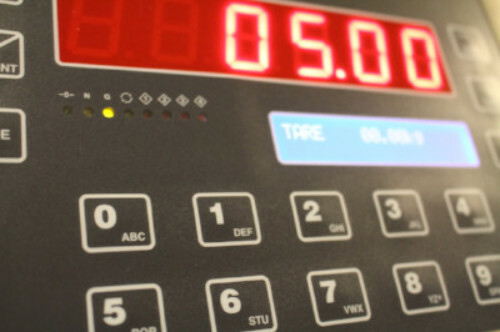 display; the combination of these displays allow operator prompts and alphanumeric data to be programmed and indicated. The front panel also includes indication of Zero, Tare, Stable and Running modes plus allows full alphanumeric text input via the keyboard. Each unit can individually specify up to 16 opto-isolated input and output ports, RS232C, time and date, up to 2 FRAM memory plug-ins (up to 64K) and radio telemetry. 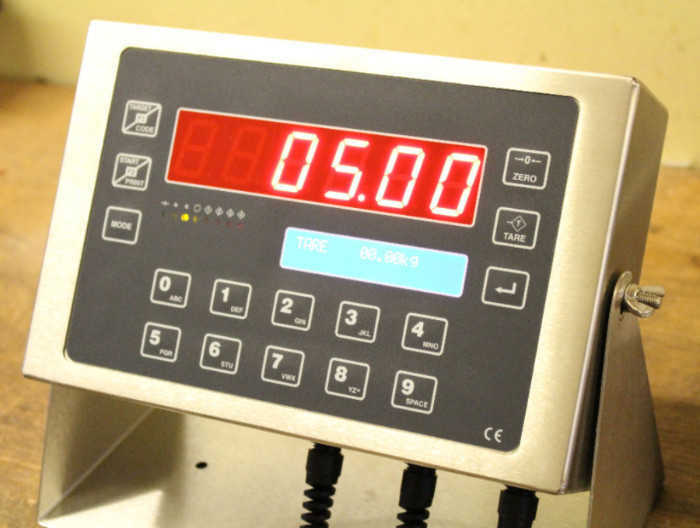 The Weigh-Station version features 8 independent weighing channels and a 20x4 LCD display indicating all loads and a running total. The Excelsior is ideal for batching, recipe storage and formulation, computer links and printouts with auditing plus many applications thanks to the terminals fully programmable software. The Excelsior can also be supplied as a DC unit accepting a wide range of DC voltages or fitted complete with a 110-250VAC SMPS. Standard software supports Zero, Preset Tare, Tare/Tare Recall, weighbridge and batching modes. The Excelsior also has 433/900Mhz radio communication capability, USB memory stick storage and a PS2 QWERTY keyboard interface (all POA). Free software is also available enabling radio and serial communication to PCs, this includes the flexible PIPELINE package that features Datalogging from a single indicator or the MULTISCALE which allows up to 20 virtual Juniors to be displayed using long range radio comminications. More details and prices are available upon request. As the Excelsior is designed and manufactured in the UK full product support is assured. The type approved version can be verified up to 6000 divisions and supports up to 8 load-cells and comes complete with RS232C as standard.